At the heart of Central Asia, Uzbekistan is situated between the two big rivers, Amu Darya and Syr Darya. It borders on Kazakhstan to the northwest and north, on Kyrgyzstan - to the northwest, on Tajikistan - to the east and southeast, on Turkmenistan - to the southwest, and on Afghanistan - to the south. The territory of Uzbekistan is 448,900 sq. km. It stretches 930 km from north to south, and 1,425 km from west to east. The total length of its borders is 6,221 km. The border regions are: the Usturt Plateau and western shore of the Aral Sea to the north, Termez district of Surkhandarya province to the south, Ferghana Valley to the east, and Usturt Plateau to the west. The territory of the country stretches from southeast to northwest. Uzbekistan's natural world is very diverse. It is composed of desert areas and snowy mountains, rivers and completely dry lands. The most part of its territory lies in the Turon plain, where there are no sudden steep-drops and hills. 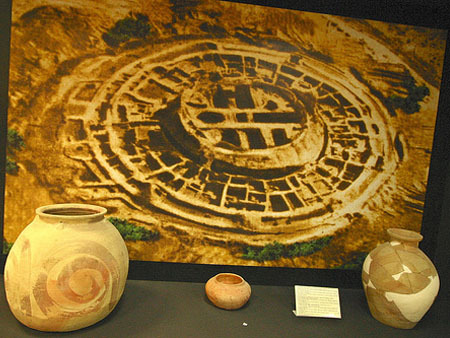 The Turon plate and mainland, which later became the Tian Shan and Pamir - Alai Mountains, were formed in the Paleolithic period. Later, the sea covered the plate for a long time. The mountain chains are thought to have fully developed during the Alps orogenesis. Tashkent Province, Uzbekistan: area - 15,6 thousand sq. km. 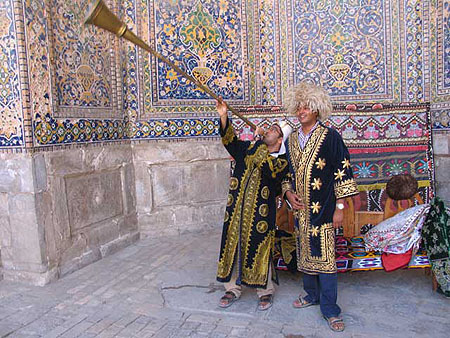 Uzbekistan is a country of ancient high culture with its exceptional architectural patterns. Famous historians of the East in their writings on the ancient cities such as Bukhara , Samarkand and Khiva and other places mention palaces of the rulers, places of residence of aristocracy, market places, madrasah, mausoleums, and describe them as very beautiful with evergreen gardens. The Kyrk-Kyz ('Forty Girls') mansion in Termez dating back the 9th- 10th centuries is a fine example of an original country manor. The Samanids Mausoleum in Bukhara still stands as a fine architectural building from the marvelous period of early Middle Ages. 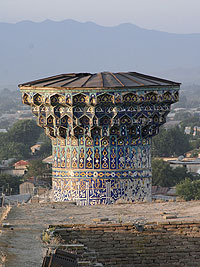 In the llth-12th centuries, Samarkand became one of the major cities in the region. There was intensive construction of attractive houses, civil and religious buildings. The growth of cities, increase of the urban population, and expansion of internal and international trade routes caused construction of many caravansaries (an inn for caravans) near the cities. 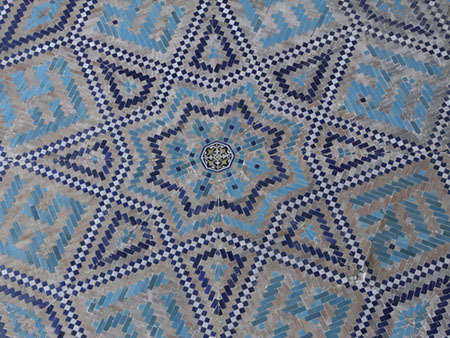 The Raboti-Malik, the caravansary near Navoi, still stands as a fine example. It was a large structure where dozens of caravans could be accommodated at the same time. 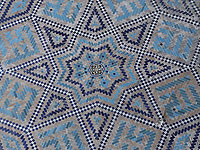 Handicraft developed in Uzbekistan from century to century, leaving unique products of the unknown foremen with rich arts, imaginations and perfection in Uzbek heritage. Due to the changes of social and economic conditions, handicrafts gradually became the second after industrial productions on an extent of 20th century. In the last years, the government adopted several laws related to the revival of national handicrafts and traditions. A number of the national artists were elected as the academicians of the Academy of Applied Arts of Uzbekistan. A title "0'zbekiston Respublikasi khalq ustasi" legislatively authorized with Faskhitdin Dadamukhammedov becoming the first handicraft to be called so. At the research and production center "Mitsavvir" (artist) the association of the national artists "Khunarmand" (skillful craftsman) was formed, the divisions of which operates nationwide. The main aim of these organizations is restoration of forgotten section of art history, assistance to the handicraftsmen in manufacturing and sales of production. In recent years, significant changes have been observed with regard to the true historical past of the area, spiritual values and traditions of the people that inhabited the region. Thus, a deep and objective study of the history of the peoples of Uzbekistan, based on first-hand sources, now has been launched in the country. National festivals and rituals have been revived, freedom of faith is fully maintained, and the national self-conscience and dignity of the peoples now residing in Uzbekistan have been recovered. 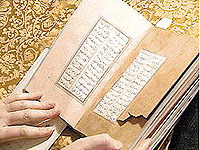 The most ancient samples of the Uzbek literature concern to poetic creativity, integral part of culture of the Uzbek people. The large place belongs to fair)' tales such as about the animals, magical- fantastic themes and household stories. Among the latter a latifa ('jokes') genre is developed. The national imagination created a collective image of Nasriddin Afandi, the main hero and wise character of Uzbek national jokes. The largest genre of the Uzbek folklore is dastan ('poem'). It was executed usually in support of musical tools. There are more than 300 dastans (100 plots) were written down. The brightest samples are: the heroic epic of"Alpomysh", heroic- romantic epic of "Gur-ughli" (more than 40 plots), military epic "Ynsuf and Akhmad", "Tokhir and Zukhra", and others. The book version, as a rule, was borrowed from classical products "Farkhod and Shirin", "Layli va Majnun". The monuments of material culture (cave pictures, monumental sculpture, bas-reliefs, statuettes, and other) and the writings, which have survived up to these days, (from 2nd century AD), testify to the ancient sources of the musical legacy of the Uzbek people. The best samples of musical art have received generalized illumination in the treatises of Central Asian scientists about music (Faraby, Ibn Sina, Khorezmy, Jomy and others). 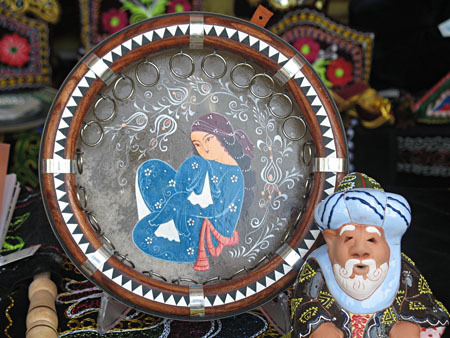 Hereinafter the musical culture of the Uzbek people developed, keeping its originality. 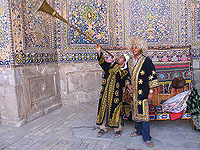 Uzbek national and oral-professional music has 4 basic local styles -Khorezm, Ferghana-Tashkent, Bukhara-Samarkand, and Surkhandarya -Kashkadarya, which came as the result of ethnic allocation. Medieval city in the region had a tradition of settling in quarters according to one's occupation. This was common for musicians as well, they lived in the "street of singers", "street of composers" etc.